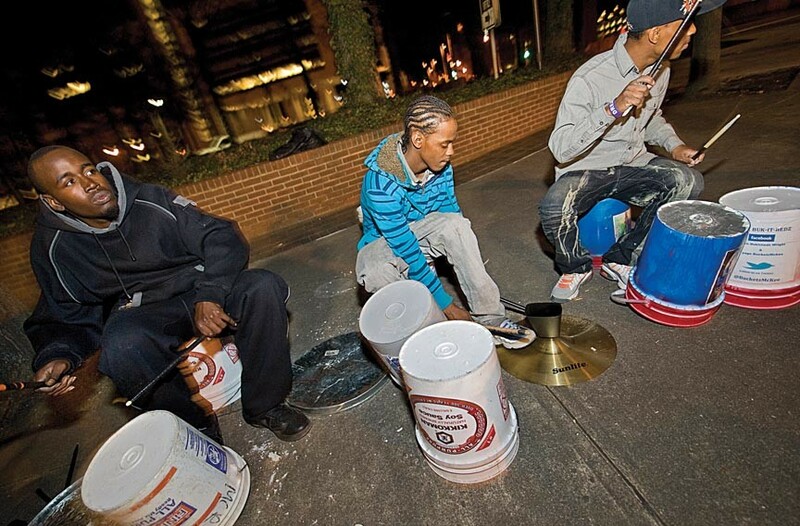 Nothing says you’re in the city like the sound of empty buckets being beaten with drumsticks. They may get some flack from irked neighbors for late-night concertos, but we couldn’t imagine a big-time event without the Buk-It Hedz keeping the party going when it spills into the streets. 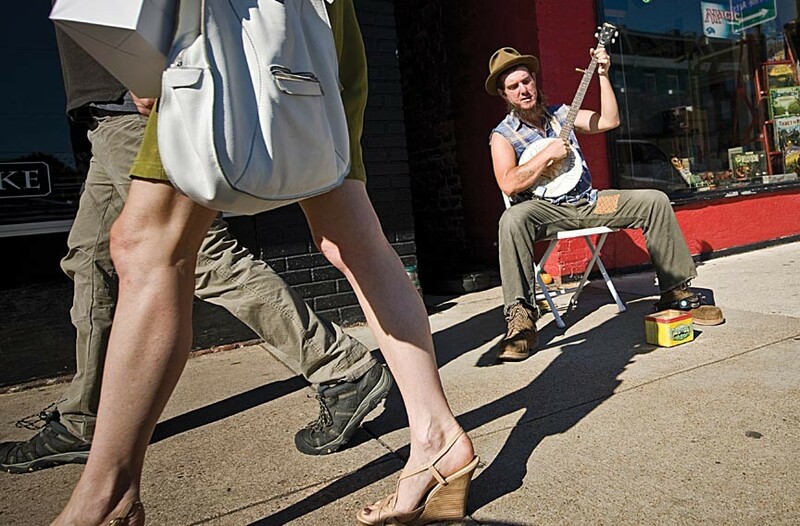 For a variety of buskers on a sunny day, you can’t beat Carytown. Some of our favorites are Roz Moret, the woman usually seated near the Byrd Theatre using mallets on an old, beautiful-sounding, hammered dulcimer (she also may be an apocalyptic, prophet-in-waiting from the next Stephen King miniseries, we aren’t sure). For a classic, old-timey folk sound, Ben Shirley can regularly be heard on banjo playing his weathered mix of traditional and originals — winning over the crowd recently with time-tested blues lyrics such as, “Run get the bucket, get the baby some beer” (from the Rev. Gary Davis’ “Candyman”). Maybe you’ll even catch old-guard fave and former Good Guys member Harry Gore plugged in and rocking out. He’s Richmond’s own Sly Stone with an ’80s rock fetish. Carytown musicians make the area that much brighter.